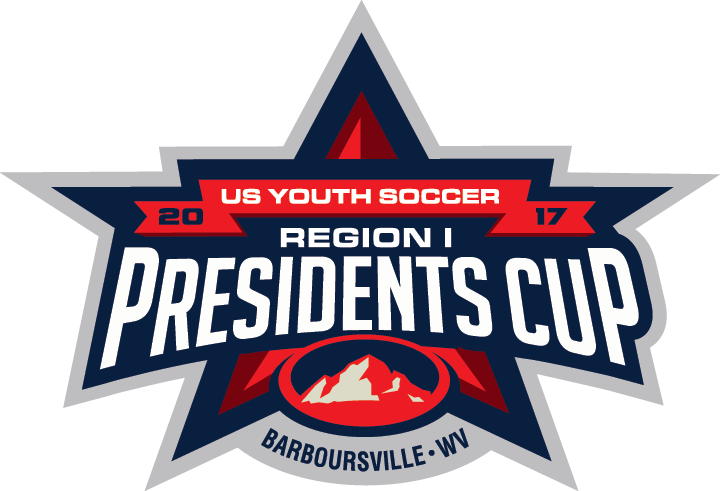 The 2017 US Youth Soccer Region I Presidents Cup kicks off Saturday in Barboursville, W.Va. Teams from US Youth Soccer Region I will compete from June 17-19 to advance to the 2017 US Youth Soccer National Presidents Cup. The tournament will feature over 100 US Youth Soccer boys and girls teams in the 12U through 17/18U age groups, competing for a regional title. Winners from the 13U through 17/18U age groups will advance to the 2017 US Youth Soccer National Presidents Cup, July 12-16 in Auburndale, Fla. Preliminary games will take place Saturday, June 17 through Sunday, June 18. Semifinal matches will take place on June 18 for all age groups. Regional champions will be crowned following final matches on Monday, June 19. Games will take place at Barboursville Soccer Complex. West Virginia Soccer Association will host the event, and the other 14 State Associations represented include Connecticut, Delaware, Eastern New York, New York West, Eastern Pennsylvania, PA West, Maine, Maryland, Massachusetts, New Hampshire, New Jersey, Rhode Island, Vermont and Virginia. About the United States Youth Soccer Association (US Youth Soccer) – US Youth Soccer - "The Game for ALL Kids!®" - is the largest youth sports organization in the country and largest member of the United States Soccer Federation, the governing body of soccer in the United States. US Youth Soccer registers more than 3 million players annually, ages 5 to 19, and over 900,000 administrators, coaches and volunteers in 55 member State Associations. US Youth Soccer programs provide a fun, safe and healthy environment for players at every level of the game. For more information, visit www.USYouthSoccer.org. About the US Youth Soccer Presidents Cup - The US Youth Soccer Presidents Cup provides a progressive, competitive experience to US Youth Soccer teams from the state to regional to national level. The Presidents Cup gives players an additional opportunity to compete against teams from across the country at a high level for the joy and the challenge of the game. It provides the chance to experience a unique US Youth Soccer event with camaraderie, community and competition through sport.